Journeying through fairy tales of the Moon. 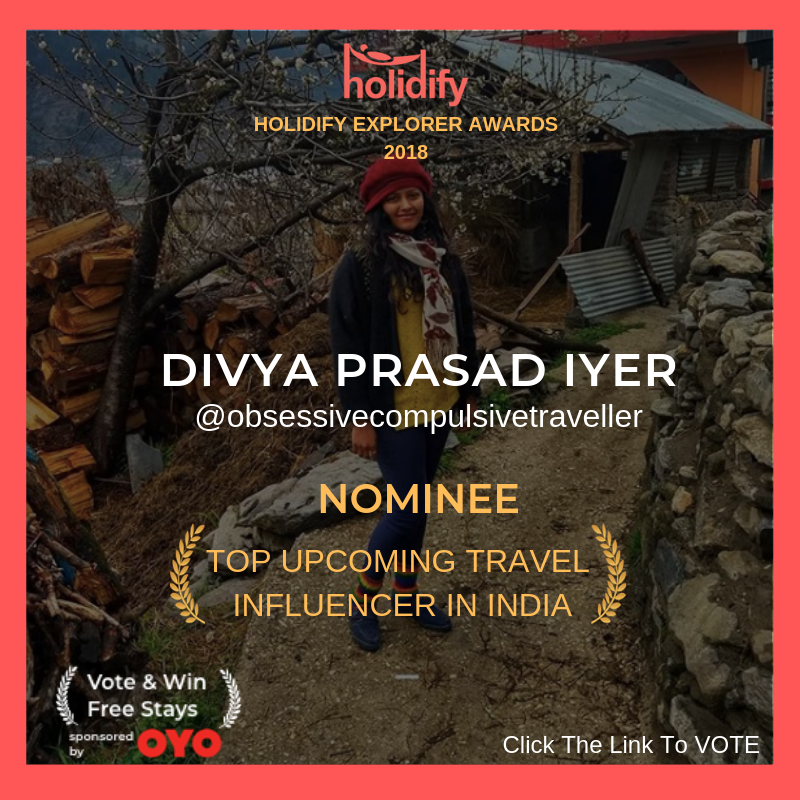 It was the starriest night at Komic – Spiti’s highest inhabited village, overlooking golden mountains and brown pastures. Hot cups of Loon Cha poured in as we spoke of the tales hidden in the hearts of Spiti. 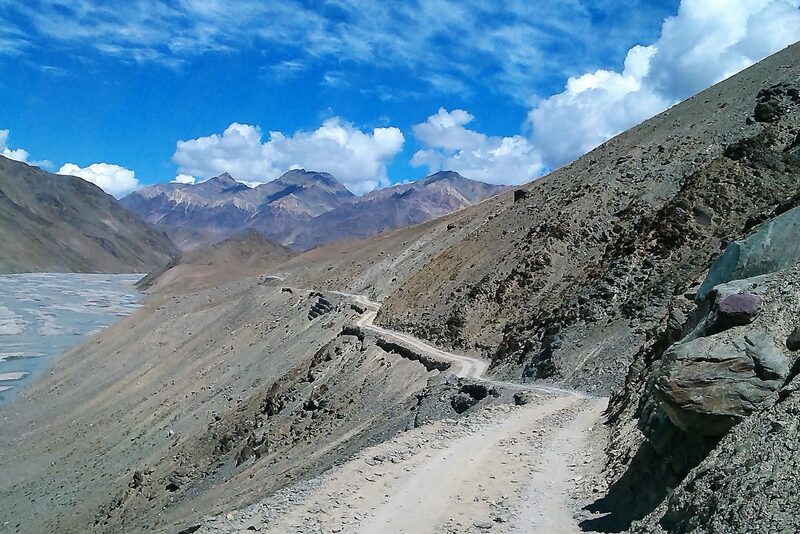 I was alone on my journey across the tribal circuit of Himalayas starting from Shimla to Kashmir via Kinnaur and Spiti. But a state bus ride happened to introduce me to some new friends on the journey. It’s one of those perks of travelling in a state bus where the universe opens all possibilities of meeting like-minded souls to share your journey. Just as me, an old doctor and his nephew; were on the back-breaking bus ride to Spiti. I got off at Tabo and retired at a forest guesthouse away from the ancient monastery. The next morning, I bumped into the friends from the bus and told them about my plan to visit Komic village. All of us were leaving for Kaza; and upon reaching the bus stand, I refreshed myself with a cup of chai while waiting on the bus to Komic. The old uncle and his nephew were planning to stay over at Kaza; yet were intrigued by my plan to head to Komic village. Impulsively, they decided to join me on my explorations to Komic village. And there we were; on a winding road to the Tnagyud Monastery, popularly known as the Komic monastery. The Komic Monastery at first glance was set against a backdrop of snow-capped mountains and fluttering ‘Lungtas’ in the chill of September. After exploring the history of this sacred monastery, we stayed with a local family because we were at a time in Spiti when a home stay as a concept was not very popular and the little dormitory for monks at the Komic Monastery was the only possible accommodation. Upon arriving there, we figured that the little dorm was fully occupied by a few visiting monks. After a humbling experience with a local family, I charted my plan to explore a few more villages in Spiti, backed by locally heard inputs. 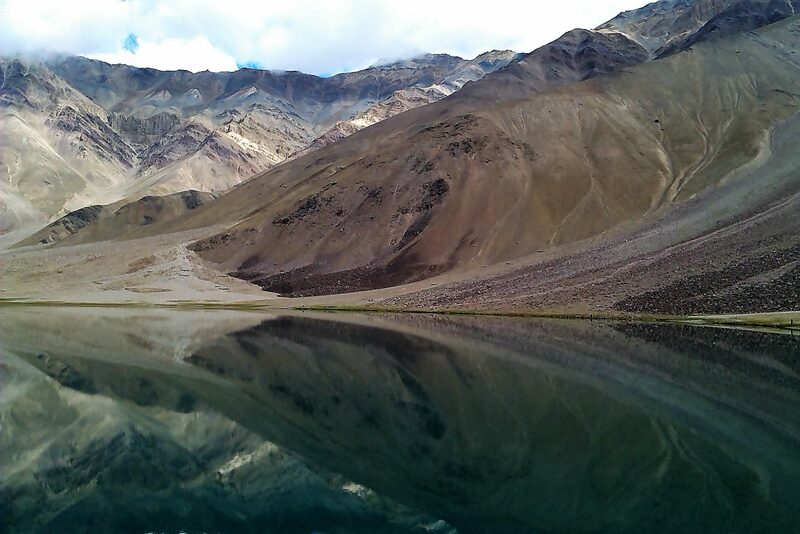 Before heading towards Ladakh, I was keen on making a journey to the pristine moon lake ‘Chandratal’ by bus. That’s when my new found friends intervened; asking me if they can join me for Chandratal. They had almost ditched the idea of travelling by state bus and had made an arrangement with a friend in Kaza to be dropped at Manali. Nevertheless, the universe had a surprise planned for us. 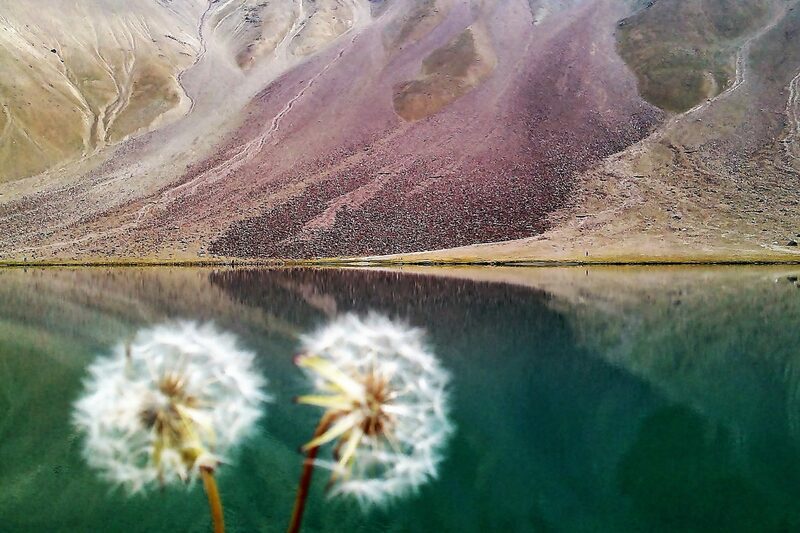 The local friend at Kaza agreed for a detour to the moon lake. 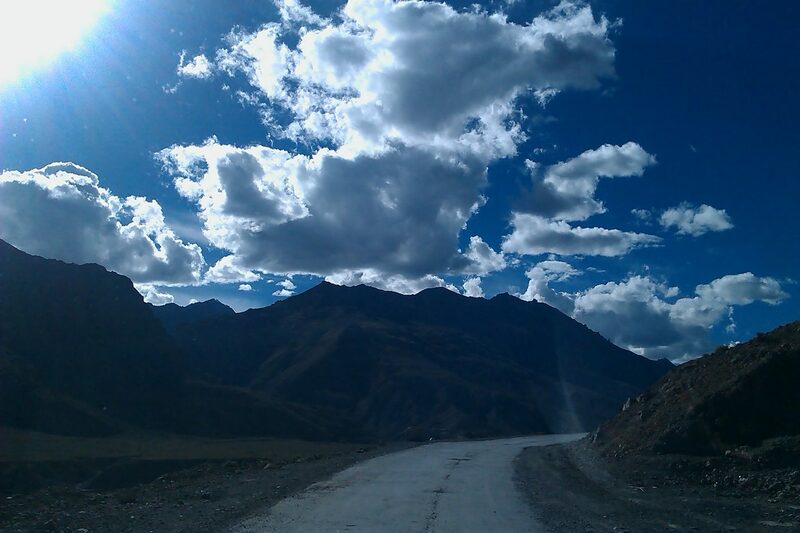 Under the warmth of the morning sun, we set out on a road trip to Chandratal. A photo of Guru Ghepan adorned with a rosary bounced with us on the bumpy road to Kunzum La. To call it a road, would be an over-statement. Doses of chai, story-telling and the blaring speakers singing the Lahauli folk song ‘Phalguni aayo re’ kept us good company till the abode of Goddess Kunzum. We were forewarned, that we must pay obeisance to Kunzum mata; – the sole owner of the mountain pass, for getting us through the treacherous road. Legend has it that, sticking a coin on the sacred rock at the temple, completing a ‘Parikrama’– a full circle around the temple and a pure heart is the only way to appease the goddess. And those who disrespect her space are sure to meet with disaster. The trust for the goddess is so deep-rooted, that even today every Himachal State Transport bus completes a Parikrama around her temple before moving further. Prayers in coins at Goddess Kunzum’s abode. 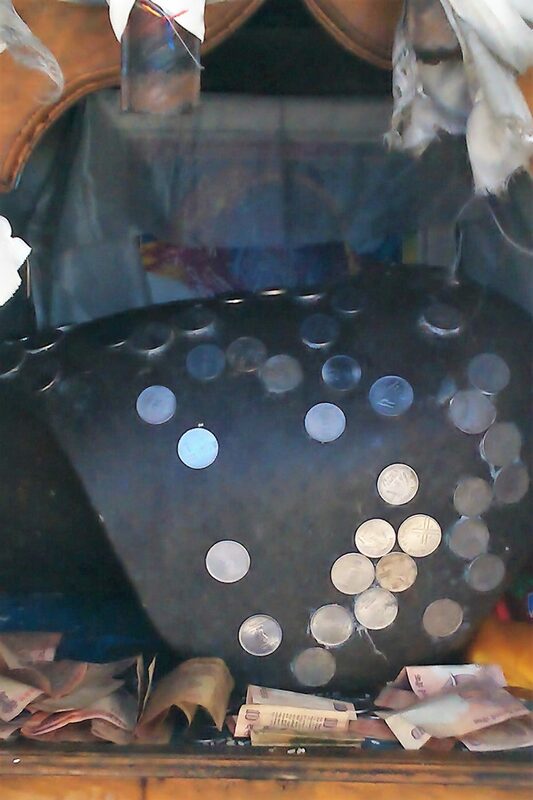 It’s a local belief that if the coin sticks to the rock, your journey is blessed. The winding road to the Moon. After paying our respect to the goddess, our rugged Innova found itself on a rocky path to Chandratal. The locals believe that this road to the mystical lake must only be taken before sunset. One must take necessary measures to travel safely on these roads. The rough terrain could get you in trouble if one drives carelessly or crosses the speed limit. Some people are also prone to facing Accute Mountain Sickness (AMS) hence keeping yourself hydrated and staying away from intoxicants will help you endure this journey. This area is so remote, that getting stuck here during odd hours isn’t a pleasant experience. Carrying a safety kit, first-aid box and spare set of good quality tyres are extremely essential while treading these paths. And those who tried outsmarting these laws in the mountains have often met with strange incidents. One must take great care to respect the laws of mother nature followed by locals in the mountains. For all the daring drivers, seat belts are a must! And gifting your vehicle a set of quality tyres to get through this road-less path will surely fetch you a lot of good karma. Our friend assured that we are lucky since we would reach there by afternoon. All the weariness of this bouncy journey was left behind upon spotting an endless patch of breath-taking blue in an oasis. 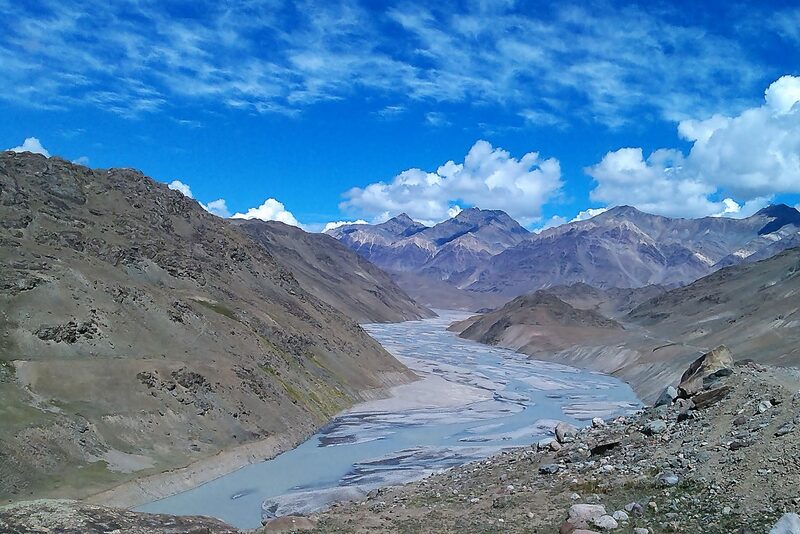 A grand sight of so many hues of blues of Chandratal framed in a lush green; we were truly enthralled by its magic. We were lucky to have been able to set our tents closer to the lake; which is no longer allowed in order to protect and preserve its ecology. We battled a cold night by the lake under starry skies in the warmth of blankets and comforting cups of chai. 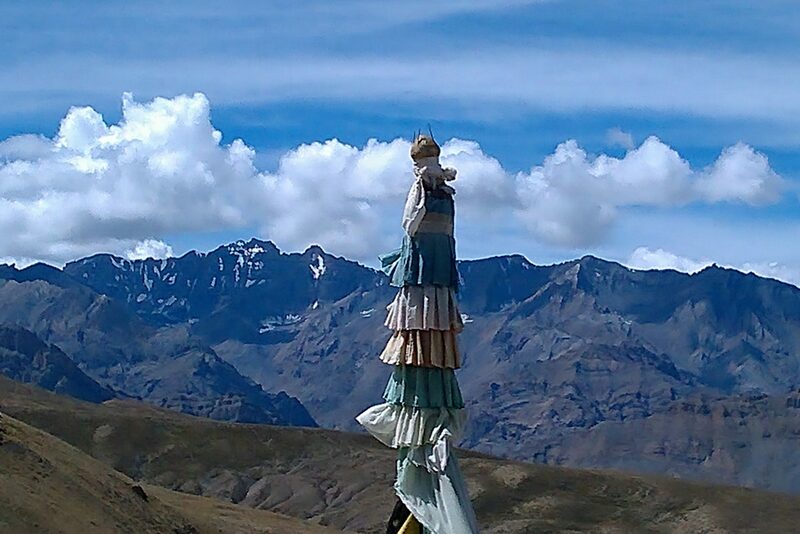 Chortens and prayer flags grace the sacred Moon lake. A cloud show for the senses. 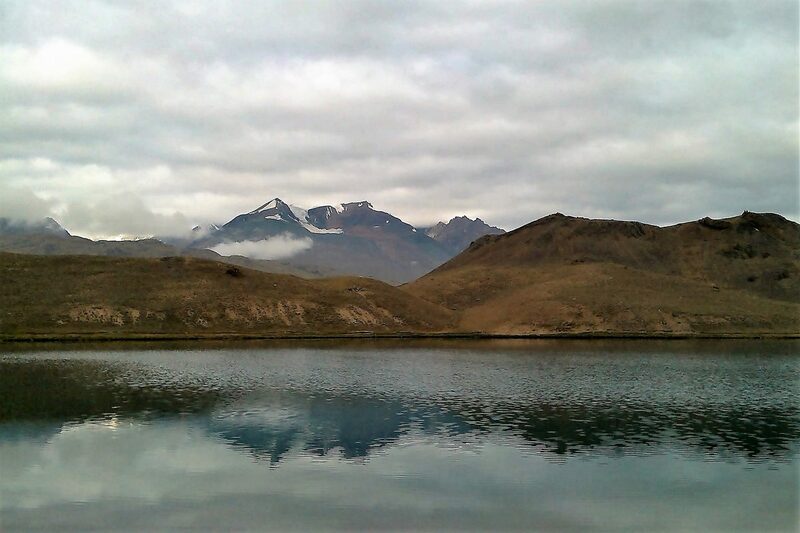 The next morning, I woke up mesmerized to a view of the lake mirroring the snowy peaks and a few birds sitting pretty by the banks. 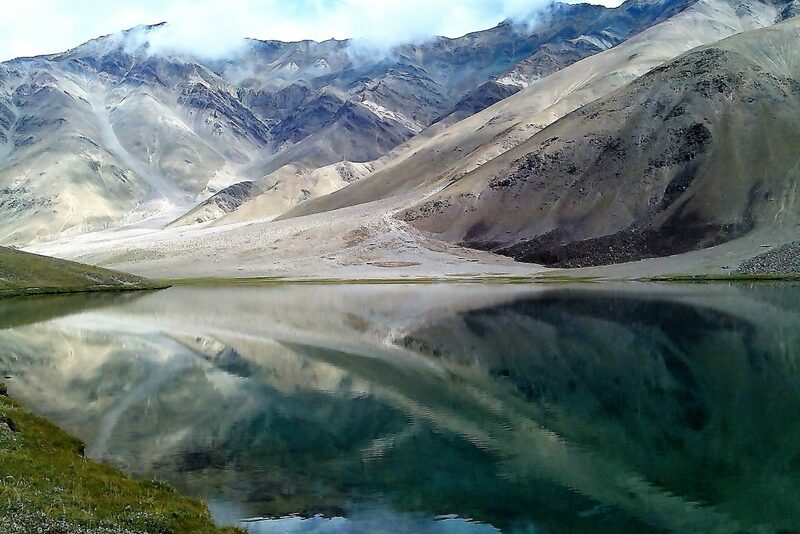 Chandratal, meaning the ‘lake of the moon’ shone bright in its glory as a mirror for the snowy mountains to see their own beauty. We set out on an early morning walk around the lake for nearly an hour. 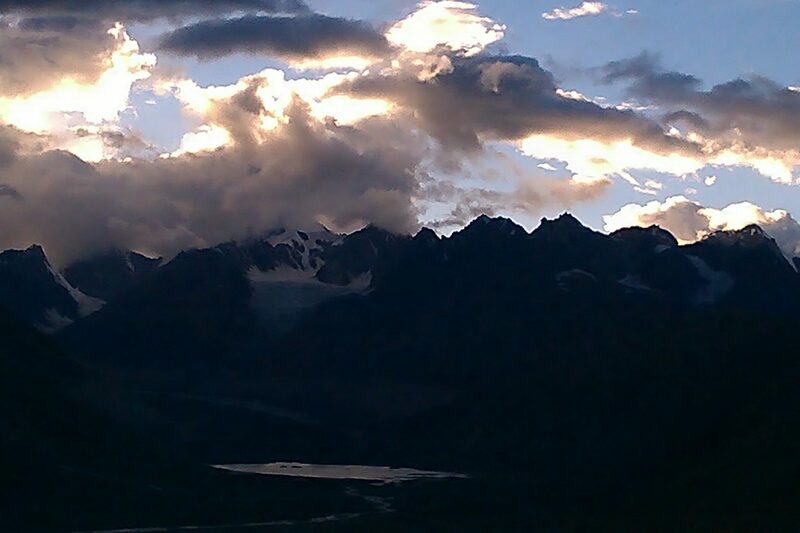 The Bara Shigri glacier overlooking the lake was cloaked in mist. Momentarily, the pristine moon lake wore myriad hues as we continued to walk. That morning, the lake painted on itself; the rainbow. The cottony clouds danced away in the blue skies, performing a spectacular show for us. We sipped on hot chais, while a few shepherds stationed by the lake spun glorious tales of the yore. Beautiful reflections at the crack of dawn. Legend has it that, a Gaddi shepherd named ‘Gangrup’ fell in love with a mermaid living inside the deep waters of Chandratal. Gangrup had a wife who always nagged him and complained about their excess poverty. Consumed by grief, Gangrup moved away from his family and started to wander in the mountains. 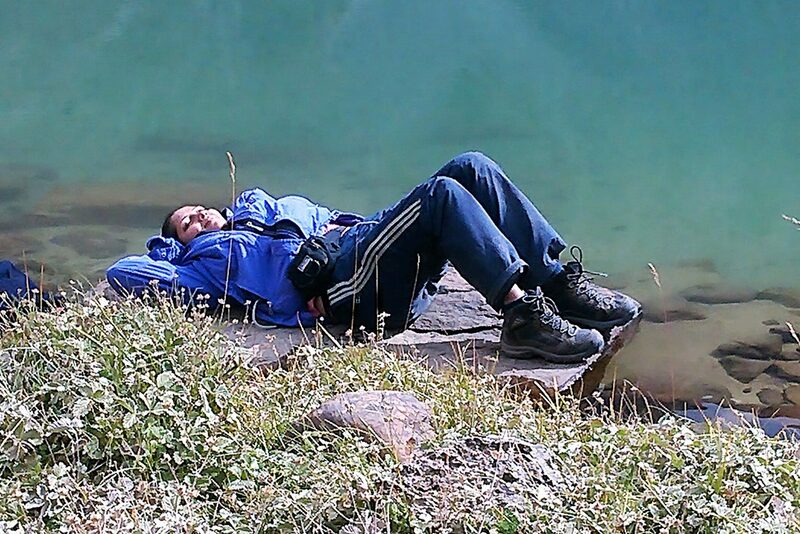 One day, he came across a mystically beautiful lake and stopped there to rest. 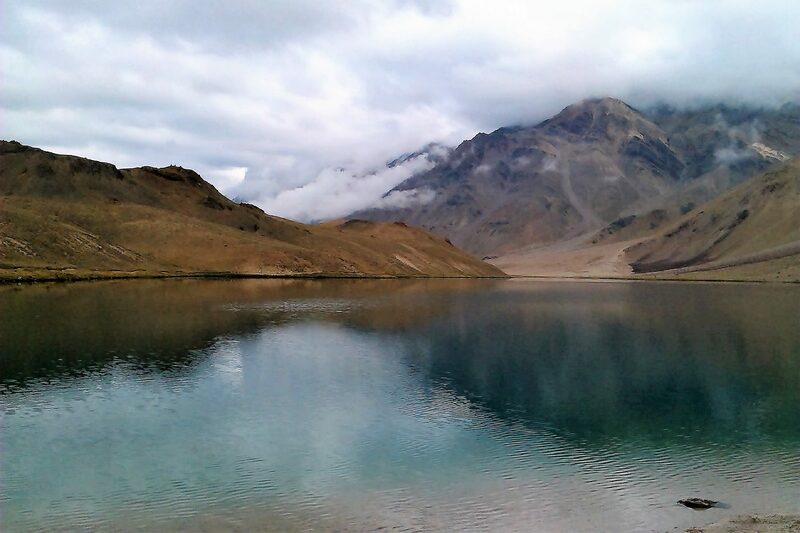 That lake was Chandratal. Utterly charmed by the lake’s beauty, he sat by the lake and started to play his beloved flute. As his flute played on a tune, something magical happened to him. A beautiful ‘Apsara’ (fairy) rose from the waters of Chandratal. She was mesmerized by the tune and called out to Gangrup. The fairy glowed as the moon. The fairy confessed that she is in love with him the moment she heard him play the flute. She asked Gangrup to live with her in her kingdom. She wowed to keep him happy if he continued to love her and play these tunes straight from his heart. Moved by the fairy’s loving gesture, he went with her to the underwater kingdom and lived happily through the summers. But one day, the winters hit the mountains; and Gangrup’s heart. The Moon fairy asked Gangrup to leave the kingdom and be with his family through the winters. She insisted that he should return home and meet her at Chandratal as the summer arrives. But the fairy asked Gangrup to promise that he will never disclose their relationship to anyone. And if he did, she will be gone forever. Disheartened by this, he still obliged because he really loved her. The fairy too expressed how much she loved him; and that she would wait for him to return next summer. So Gangrup returned home and his family was overjoyed to see him. The family has assumed that he died while journeying through the mountains. Gangrup had now returned to his old life; and was consumed by grief and his wife’s nagging. One night, he drank way too much in grief and told his wife that he is leaving her for the fairy of Chandratal. Next morning, he realized what a big mistake he had made by breaking the secret of their sacred love. He spent the winters in misery and eagerly waited for the summers. Finally, the day had come when he found love springing back in his life. 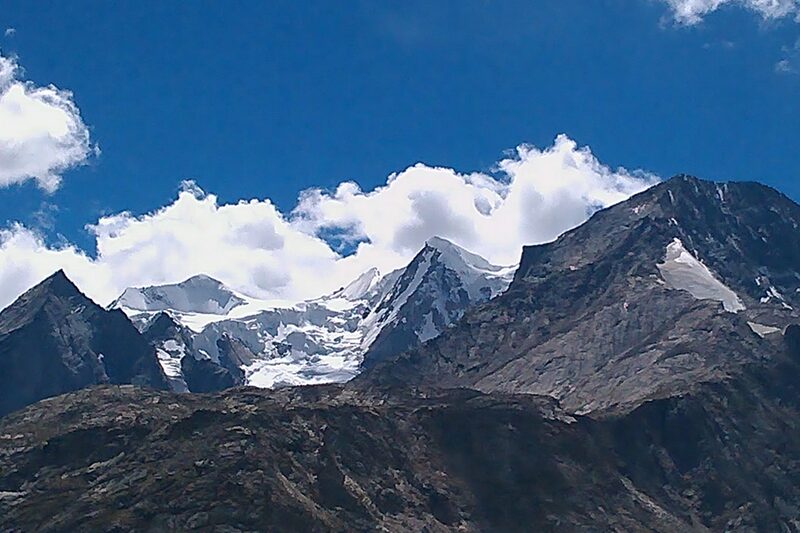 It was summer; and it was time to meet his love at Chandratal. Clouded in regret and moved by love; he sat by the lake and played the flue for hours. His flute wept and called out to his love. The fairy finally appeared and bid him goodbye because he failed to keep her promise and broke her heart. This time, she had something in her arms which she offered to Gangrup. It was a beloved daughter born out of their love. The baby was ill, covered in boils and wounds. She was nothing like a baby Gangrup had ever seen before in life. Gangrup was overjoyed to see their daughter. He pleaded the fairy to forgive him and unite forever. But the fairy said it is no longer possible. She handed over their daughter to Gangrup and told him to take care of her. Gangrup accepted the baby and left Chandratal. Unfortunately, the baby died on the way and Gangrup was completely shattered. He carried his dead daughter home, performed rituals and buried her in his home. Since that night, his family became rich. Their lives bloomed and they all lived happily ever after. And Gangrup’s eternal love for the Chandratal fairy lived forever. 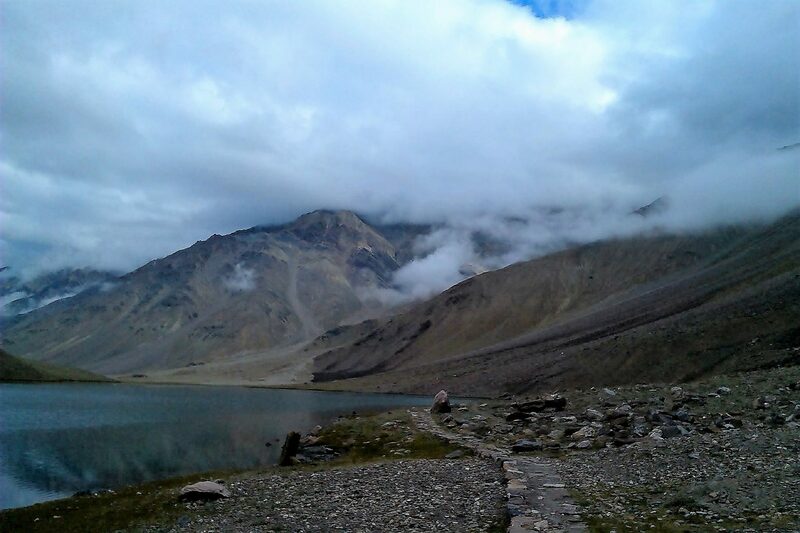 Another local lore lives on that Chandratal is the lake from where Yudishthir was led to the heaven on a Golden Chariot. 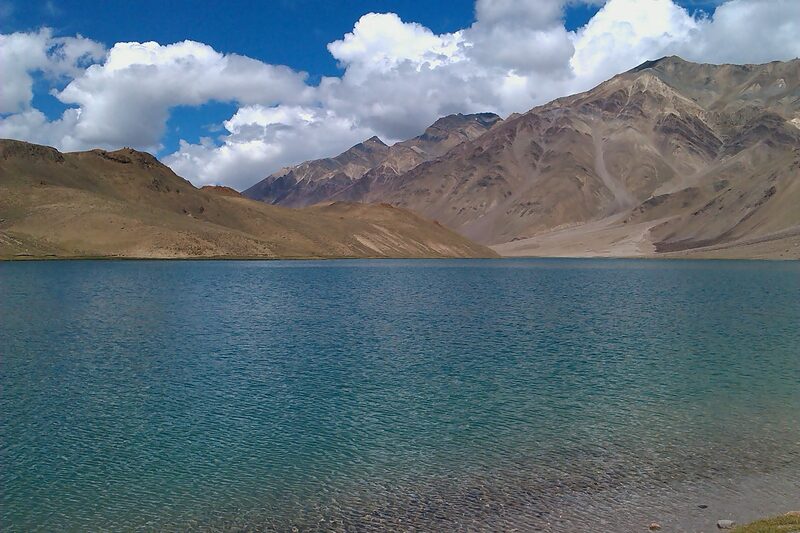 Because of all the Pandavas, only Yudishthir could reach this lake as he had the purest heart. 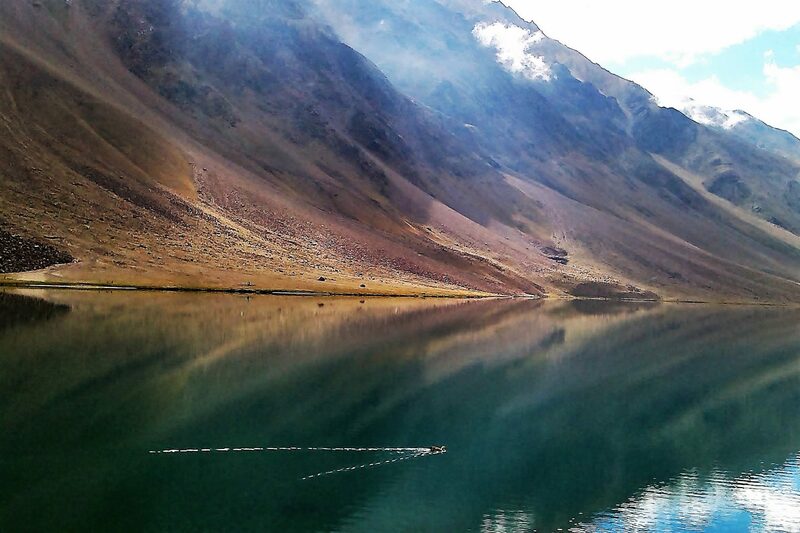 Locals regard it to be one the most sacred lakes. They believe that taking a dip in the lake will free them of all sins and attain liberation. Even today, the shepherds talk about feeling the presence of fairies and a mystical energy around the lake. They believe, no matter how much and how far people try to measure the depth of the lake; they will never be able to figure this sacred lake. The fairies still appear to those pure souls; often on a full moon night. 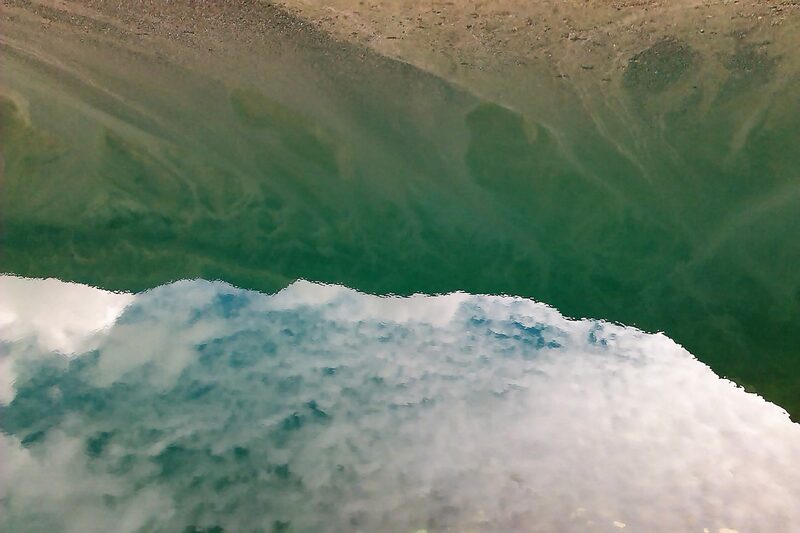 Call it magic or shun it as a myth, the locals trust and hold these tales close to their hearts. Blissful moments by the Chandratal. There I sat by the lake, recalling these magical tales of the fairies. I thanked the universe for making this road trip happened. Special thanks to my newfound friends from the road who made me ditch my bus to Kunzum La and make this road trip instead. 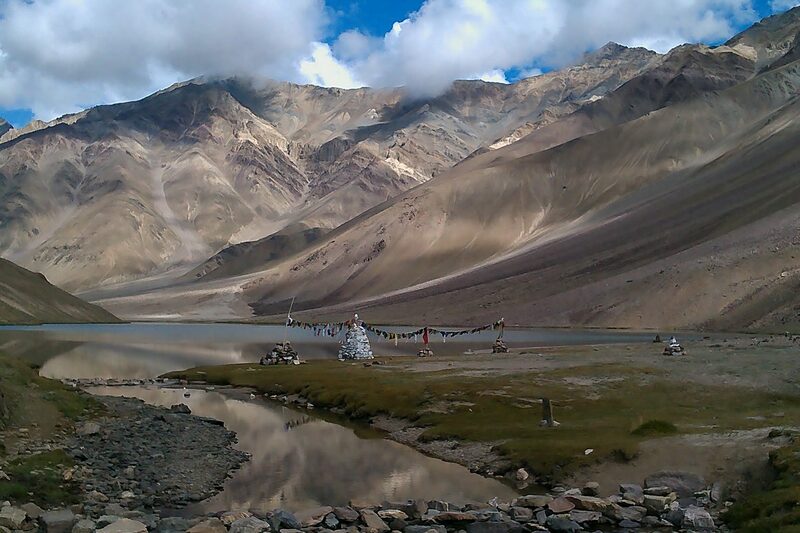 The intention to be in Chandratal was already there; and how this road trip got me here was beautifully synchronised. Travel brings a lot more blessings to your life, than just the thrill of reaching a destination. I cherished these moments by the Chandratal, wishing that these fairies bless my journey further. And just as the mystical fairies rising from the kingdom of the moon; these soulful tales rose in my heart. I shed all logic and embraced the magic these tales created. My love for these tales was now deeper and immeasurable as the lake. And collecting these tales of love and light in my heart; I wandered forth in my journey through the Himalayas; just as a mad shepherd in love. Let’s wish I am blessed with more travels to lands far away. Author’s note: I am chronicling my road trip adventure to Chandratal lake, Lahaul-Spiti for CEAT Tyres in association with BlogAdda. 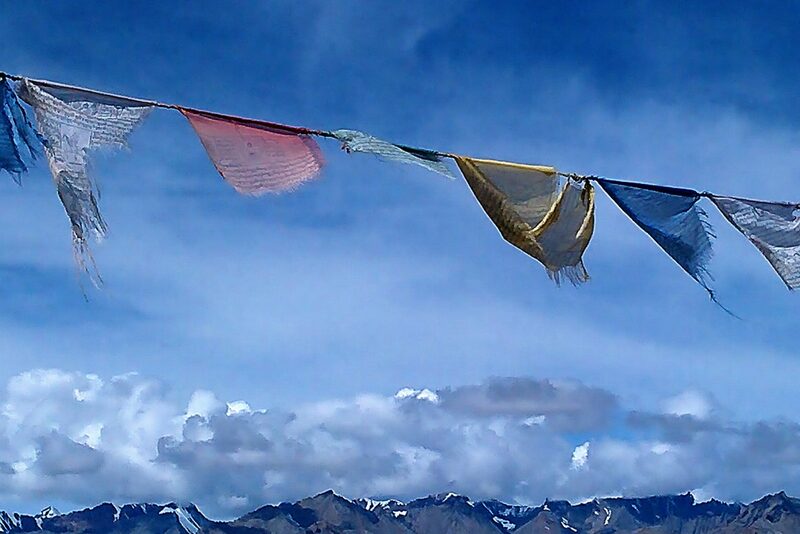 Previous Previous post: Dosmoche: A springtime for hearts in the winters of Ladakh. Breathtaking photographs, and very detailed writing. 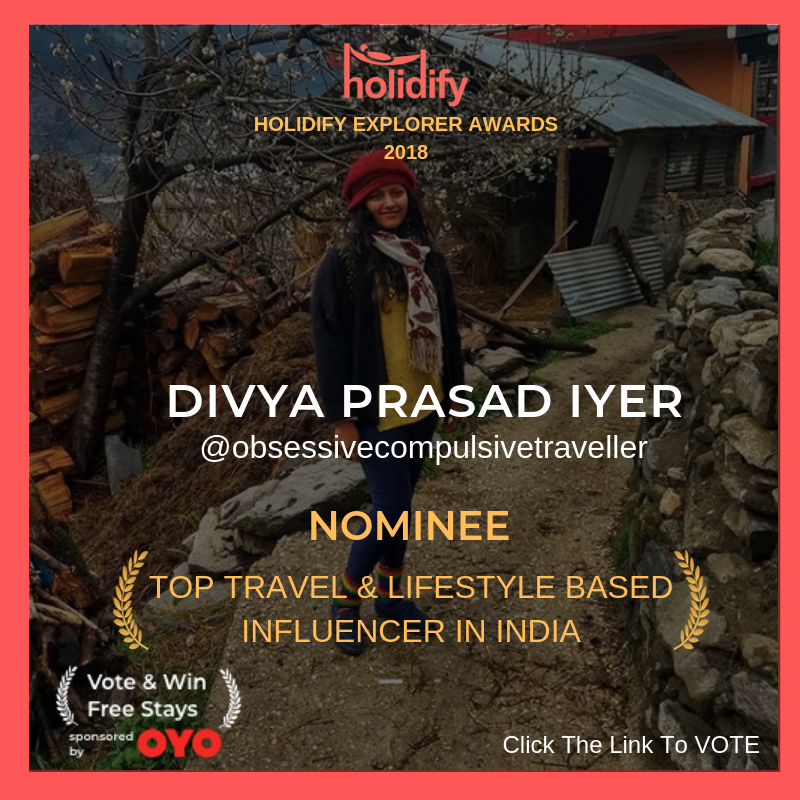 Such posts give us a chance to travel while still glued to our desks! Incredible blog! awesome photography well done job thank you for all. Amazing photographs these are and these photographs tell the whole thing about this Moon Lake really looking awesome and thank you for this post because from this post I get to know about this place. keep coming with this type of post.